Reading things like this gives me great pause. I'm alarmed by what's going on in our society. What is happening to parents? Haven't we read all the books? Aren't we full of good intentions? Child Already Dislikes New Teacher! When a child's personality doesn't match up with their teacher's, it can feel like there isn't a connection. But all is not lost! There are many ways you can help your daughter feel more at home in her new classroom. Thank you for sharing these words from your heart. I know it may seem that you speak only for yourself, but believe me when I say that I don't know of a parent who doesn't feel some degree of regret over things they have said or done in a difficult moment--myself included. I've Had It With My Kids Complaining That They're Bored! Children are immensely adaptable, finding ways to adjust to all kinds of circumstances when necessary. Most of us have observed that when the power goes out and they get excited about lighting candles, or when a sibling is sick and they find themselves actually capable of being gentle and kind. Many times I've worked with a parent who was brought up being told to keep her feelings to herself -- scolded if she dared to express her thoughts or wishes. Lo and behold, she grows up to find herself parenting a passionate, dramatic son or daughter who makes noise about every injustice that crosses his or her path. My Stepson Is Angry and Aggressive When He's Here! Your stepson has been thrown into a situation that I see all too often: one parent says negative things about the other parent or stepparent, creating divided loyalties. The child is faced with an impossible dilemma: Whose side am I supposed to be on? I don't mind that innings start late because kids are waving to their parents in the stands and asking for "just one more bite" of their granola bar through the chain-link fence. I don't mind the chaos, the confusion or the constant chatter. It's all part of the tee-ball game and as coach, I wouldn't have it any other way. Even parents with a partner living under the same roof know that the probability of patiently meeting every need is impossible. But for those men and women who are going it alone -- by choice, or through circumstances they might never have imagined -- the realities of being the sole parent either full or part time is challenging at best. 13 Year Old Skipping Gym Class Every Day! If we want to provide our youngsters with advice they will actually listen to, we have to make sure their ears, minds and hearts are open. The more she knows you are on her side, the more honest she'll be. Mom Tired of Battling Tired Teen to Get Up in the Morning! Your son is moving rapidly toward adulthood. Rather than trying to control his bedtime -- which at 16 is not likely -- fortify your connection with him so he is willing to work with you to find a solution to his morning sluggishness. If you are finding it increasingly difficult to remain genuinely present with your child when you hear your digital device beckons, you are not alone. Like Pavlov's dogs, we are gradually being trained to create a compelling association between a bell and a response. And our children are being affected in significant ways. 7 Kids and Their Rooms Are a Mess! Children don't want to do what they don't want to do. Whether it's tidying their room, taking out the trash, or putting on their pajamas, if a child doesn't see the need to get a task checked off of your list -- or they simply don't feel like it -- she will do her best to avoid it. Despite all those yummy baby kisses and cozy snuggles, children push our ability to tolerate disorder to its absolute limits. 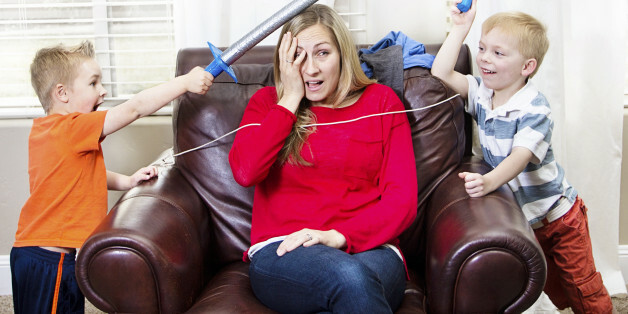 Parenting is hard... and it's messy! Even those of us who aren't perfectionistic often struggle with the chaos. Can't Get Your Kids to Go to Sleep? Try These 7 Steps! So often, parents stay until their child falls asleep - I suggest an alternate route. I call this "exiting ritual." Many of my clients have found this to be an easy fix and I hope you do too...and don't forget to let me know what you think! I wanted badly to be a mother and I love my children to pieces, but I am so exhausted that I wake up in the morning dreading the day ahead. I know all the magazine articles talk about taking care of ourselves, but I laugh when I think about getting a massage. Until very recently, raising children almost always included the support of extended family and friends. These days, parents often feel terribly isolated as they attempt to meet the needs of their children, whether they are raising them on their own or with a partner.